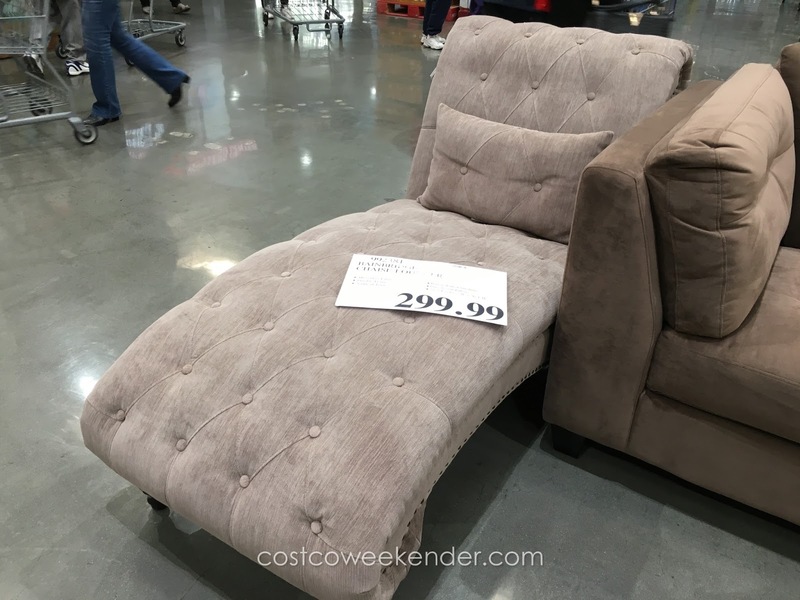 I saw the Bainbridge Chaise Lounger at Costco and found it to be one of the more unique pieces of furniture that a store would carry. If you're looking for something more than just your run-of-the-mill chair or recliner, then the Bainbridge Chaise Lounger Chair is for you. It features a classical nailhead trim and a curved back and seat for comfort. And it really is comfortable to sit on. 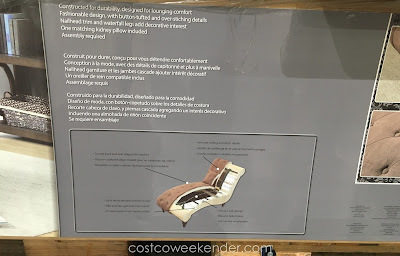 The contoured back and seat really make the lounger comfortable for reading, watching TV or just relaxing in your home. And really important to me, the microfiber fabric makes it easy to clean. 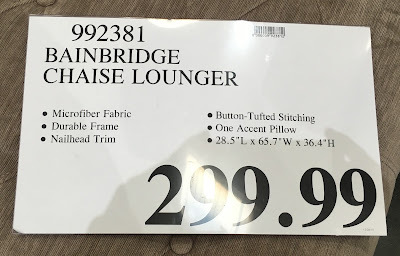 So consider the Bainbridge Chaise Lounger for that one-of-a-kind look and comfort at an affordable price. 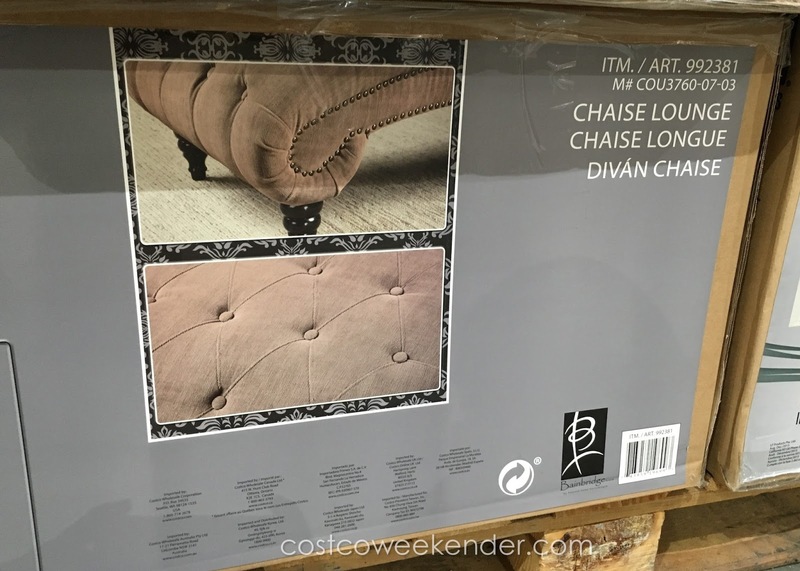 Bainbridge Chaise Lounger – Constructed for durability, designed for lounging comfort. Fashionable design, with button-tufted and over-stitched details. Nailhead trim and waterfall legs add decorative interest. One matching kidney pillow included.